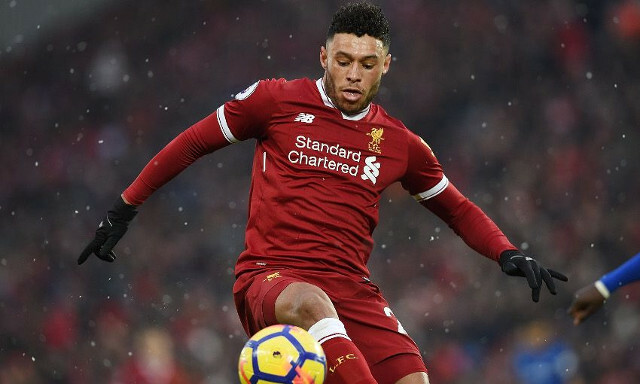 Alex Oxlade-Chamberlain looks poised to return to first team action ahead of schedule as he continues his recovery from a long-term knee injury. Liverpool have been without the midfielder since he was substituted in the first half of last April’s Champions League semi-final first leg against Roma. He has since undergone a lengthy rehabilitation process, with the club’s medical team setting out to nurse his multiple ligament damage with extreme caution. Having initially been ruled out for the entirety of the 2018/2019 campaign, it seems the former Arsenal man could play a part in the final months of Liverpool’s Premier League title charge. The 25-year-old is now expected back in full training by mid to late February, according to the Liverpool Echo’s James Pearce. All affiliated with the club and Oxlade-Chamberlain’s recovery will undoubtedly remain keen to avoid putting pressure on the England international or rushing him back too soon. Nonetheless, for Klopp to have his 2017 summer signing at his disposal again would be a welcomed boost as his players look to fend off the challenge of reigning champions Manchester City. Liverpool’s mid-season training camp in Dubai has staged the most significant steps in his progression yet, with Oxlade-Chamberlain taking part in ball exercises with club stuff and some of his teammates.